Wild Theory of the Day: Abeloth on the cover of Apocalypse? 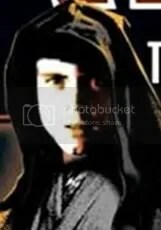 When StarWars.com unveiled the cover of Troy Denning’s Fate of the Jedi: Apocalypse many fans were a little deflated that Luke Skywalker was on another cover. Some fans quickly rallied once they realized Luke was on the first (Outcast) and middle (Allies) covers, thus creating a nice harmony for the series as a whole. However, after further examination it’s been noticed that half of Luke’s face appears strange on Apocalypse. The left side of Luke’s face (from his perspective) actually appears to have some scars or wounds on the cheek and his eye looks swollen or…dare I say it…moon like. The other side of his face is also peculiar in the fact that he looks so youthful. 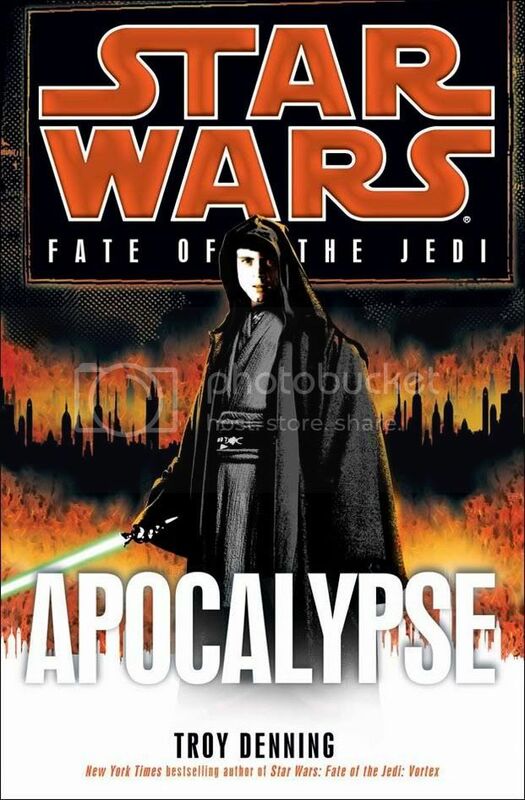 All of these facts have swayed me to the opinion that Luke is not on the cover of Apocalypse. I think the being on the cover of Apocalypse is really Abeloth and that she is impersonating Luke, hence the reason he looks so youthful as well as the reason we see the possible glimpse of her moon eyes and maybe, just maybe the hint of a tentacle curled in shadow across her left cheek. Take a closer look at the image and let us know what you think. Apocalypse may have a big surprise in store for us. YES! Someone used the “speculation” category. I wanted to call it “gossip” or “rumor” at first but we settled on speculation. Also. it’s as good a theory as any I’ve heard. Luke being in exile it would surely be interesting if Abeloth were brazen enough to impersonate him for the purposes of violating his probation. It’s worth noting that I don’t think Abeloth will kill Luke in order to impersonate, nor do I think she’ll absorb him. I’m betting she’s just going to super charge up with some dark side energy and then she’ll be able to change form at will. Rev, you haven’t finished Conviction yet, have you? I think Abeloth may very well mimic Luke’s face unless and this is reaching but if Jag and Daala reach their battle’s end and Jag gives Luke the serum of youth in a attempt to save his life or to give him a bigger edge in battle against Abeloth it is very well possible that the reason he looks so youthful is because he took the serum the Squibs took. But again that’s reaching. Now the thing I wonder is this, perhaps what the prophet of the Aing-tii claimed about those who dwell beyond the veil coming in his life time is actually true. What is the Celestials or rather “Those Who Dwell Beyond the Veil” have to take Abeloth down themselves or give Luke and the Jedi help in doing so.